Cargo Insurance Arizona – Get The Insurance Coverage That Works Best For You! Here is why you should never buy direct when shopping for Cargo Insurance in Arizona: Captive agencies can only sell you insurance from one company! In contrast, an independent agency such as Pathway Insurance can offer Arizona Cargo Insurance Policies from multiple companies, which allows you to choose the one that’s offering the most affordable prices, most comprehensive coverage, or both! Pathway Insurance Services provides Cargo Insurance in Arizona, Kentucky, Ohio, Indiana, Tennessee, Missouri, Wisconsin, Michigan, Texas, Colorado, New Mexico, Illinois, Florida, Georgia, and the state of Maryland, with plans to enter more states very soon. We are available by phone Monday through Friday 9 AM to 5 PM CST and by live chat before 5 PM 7 days a week. Want to get started right away? Click one of the links below to use our online quote request form 24 hours a day, 7 days a week. Arizona Cargo Insurance – When Is Cargo Insurance Necessary? 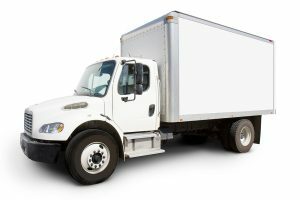 If you or a truck you employ is carrying cargo, and that cargo is lost, damaged, or destroyed, your business may be responsible. As its name implies, cargo coverage would protect you financially from that loss. For instance, let’s say that while one of your trucks is delivering cargo worth more than $100,000 the driver gets into an accident, resulting in a vehicle fire that consumes nearly the entire shipment. Without cargo coverage, your company would be on the hook to pay for that lost cargo. Imagine carrying freight with a value of hundreds of thousands of dollars that is completely lost due to an accident caused by yourself or another driver in your employee without cargo coverage? Furthermore, you may have to pay for cleanup and disposal of any spilled freight! In other words, any time you are carrying cargo, it is a good idea to have Arizona Truck Cargo Insurance. What Sorts Of Things Are Protected By Cargo Insurance in Arizona? Cargo Insurance covers a number of events, such as loss by fire, damage cause by being run over, and the unintentional dumping of cargo due to a motor vehicle accident. Also, Cargo Insurance can cover the cost of cleanup and disposal of spilled cargo, as well as the cost of preserving any unharmed freight. Furthermore, this coverage can apply to legal defense against lawsuits and settlements. Please note that all of these protections would be subject to your individual policy limits. What Sorts Of Things Are NOT Protected By Cargo Insurance in Arizona? We often advise our clients that it is important to read and understand your insurance policy, because there are always some situations and events that are excluded from coverage. For more information on special coverage options for particular kinds of cargo, give us a call at 800-998-0662. Cargo Insurance Arizona – Start Saving Money Now! Why wait any longer? You could start saving money right now. Contact the agents of Pathway Insurance today for free quotes and find out how much you could be saving on a new Arizona Cargo Insurance Policy.